Today I am sharing a DIY Jack-o-lantern Stress Ball ! Kids are back in school and many kids find stress balls and fidget balls therapeutic. 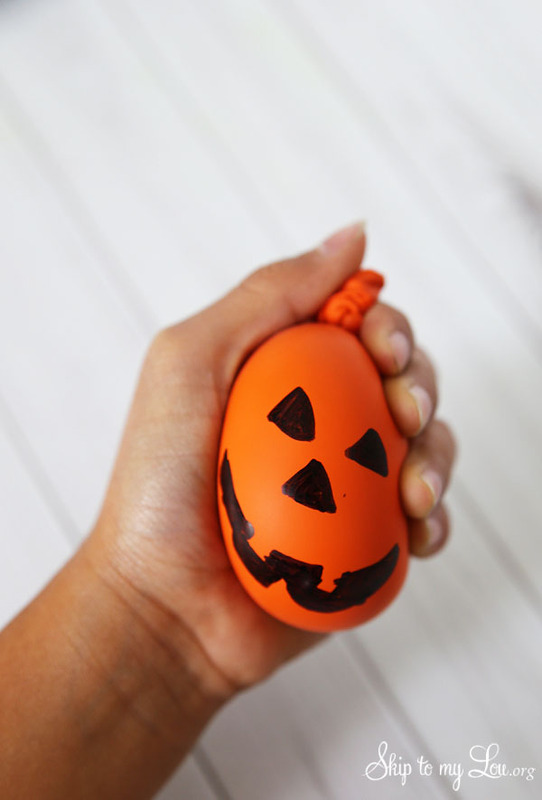 This DIY Stress ball is super easy to make and perfect for Halloween. They would make great favors! 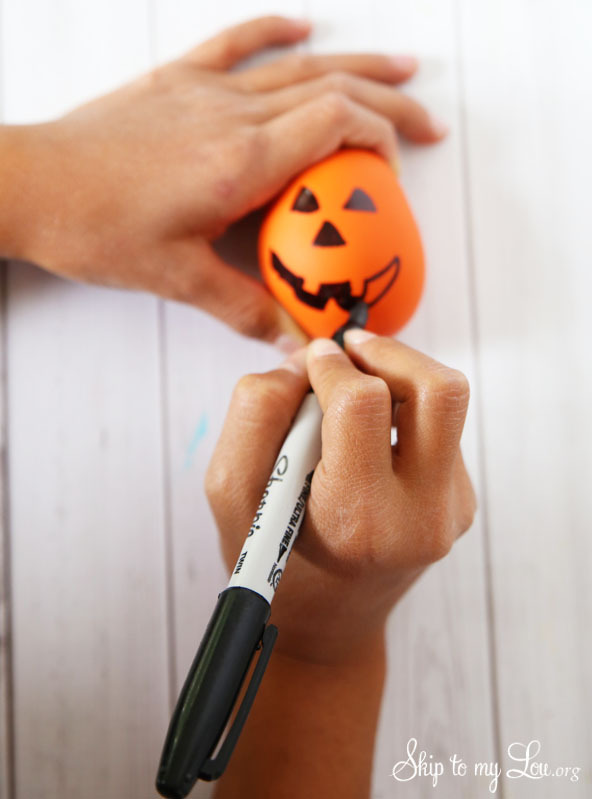 Don’t miss these other Halloween Crafts! 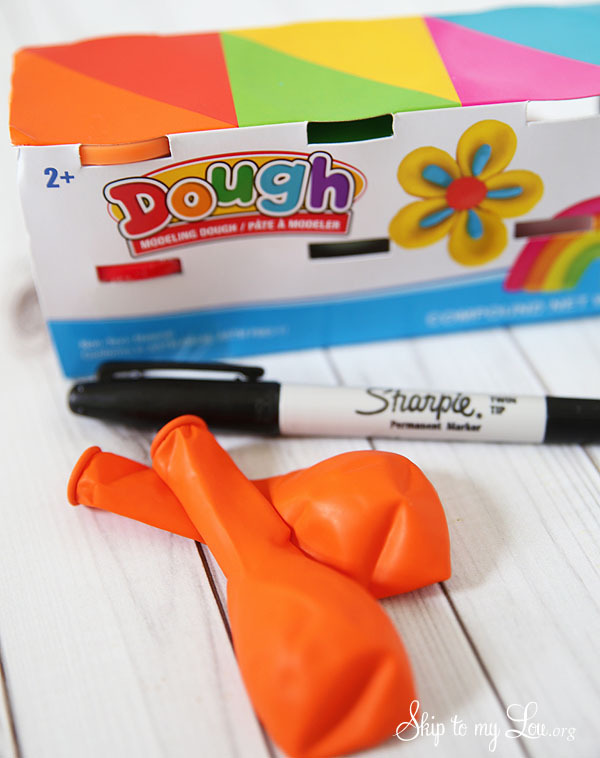 You only need three things: balloons, play dough and a Sharpie marker. Some children are allergic to latex balloons. If this is the case with your child make sure you use latex free balloons. 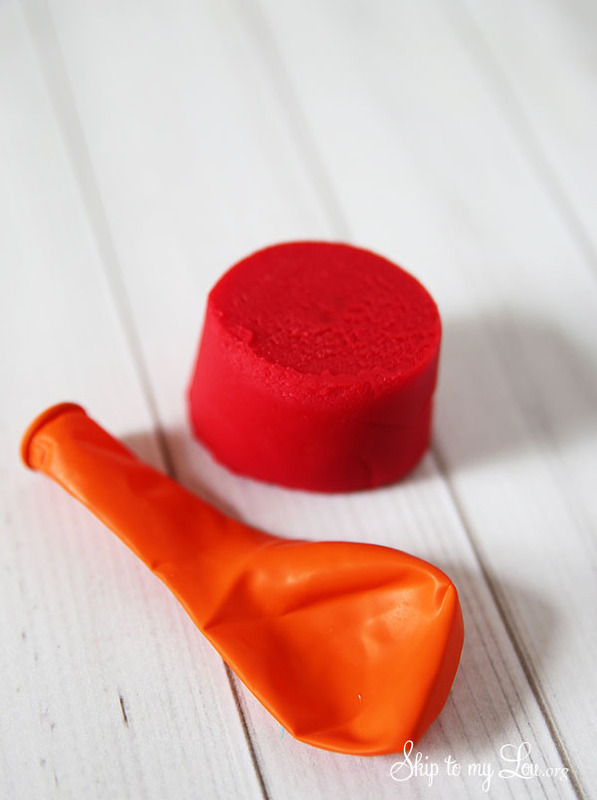 Fill one balloon with about 1/3 cup play dough. This is easiest if one person holds the balloon open while another person fills the balloon. 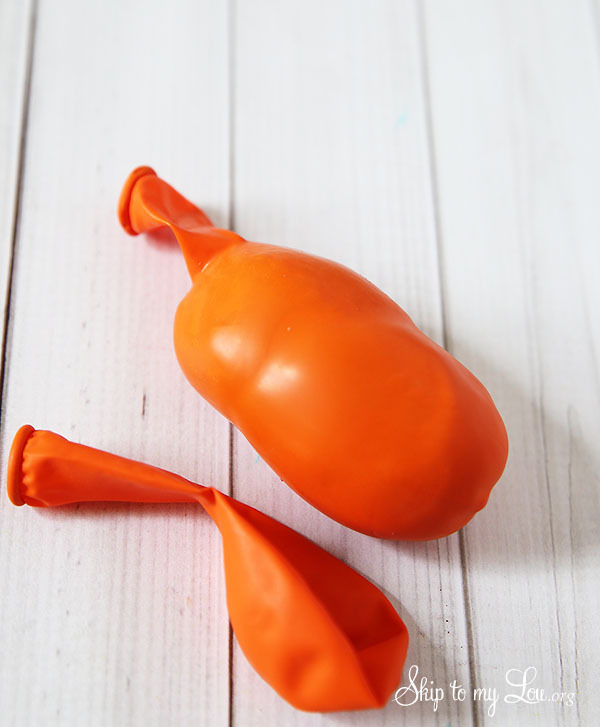 Place another balloon around the play dough filled balloon so you have two layers of balloons. Tie off the balloons and get your marker ready. 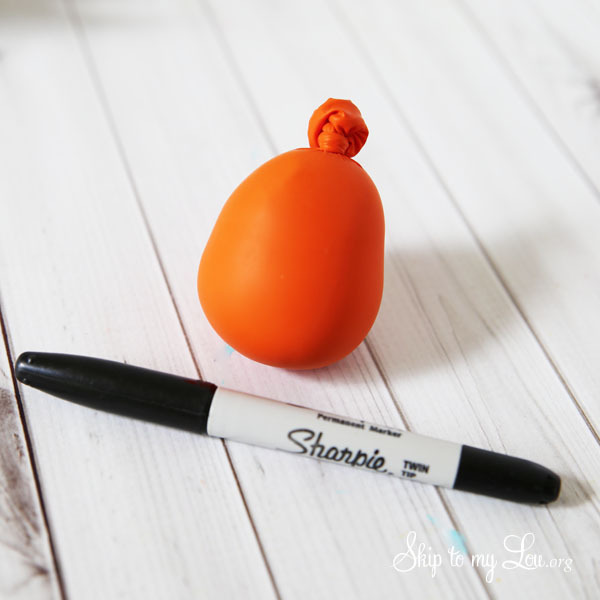 Give the stress ball a bit of personality! Now you have a stress ball perfect for Halloween! We love all the tricks and treats of the Halloween season! Please come visit and see how we celebrate! 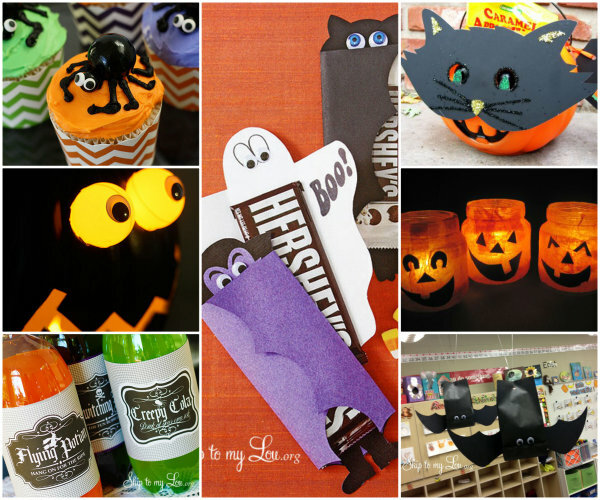 Just click the below pictures to see more Halloween ideas! How in the world do you fit a filled balloon into an empty ballooon?